Good quality leather dining chairs, especially if the upholstery shade is light, look gorgeous in combination with clear glass table surface. This is a modern, time relevant arrangement that is incredibly interior neutral at the same time. On the other hand, going with tinted glass table will give you a chance to create a very impressive colour palette in your room. A black glass table will look gorgeous with white leather chairs, giving your dining room an elegant, sophisticated look. Tulip chair designs, despite their slightly retro look, look very impressive in spacious dining rooms and dining areas. Moreover, these good quality leather chairs offer incredible comfort of usage, giving you a chance to relax in an instant. Good quality leather chairs are perfect additions for a high gloss dining table. You can either go with the same shade, or choose contrasting combination — both options work fine in a modern dining room. Retro chairs with dark upholstery and bulky designs are perfect for vintage rooms, as well as traditional rooms with a retro focus. Sure, due to their massive design, these quality models are not the best fits for compact rooms. A bench next to a wall and a set of good quality leather chairs on the other side of the table is another idea that can make your room look special. Plus, the approach offers a flexible seating capacity. Mix matching chairs is another memorable solution that cannot stay unnoticed. Of course, you can go with classic black and white combinations; however, in a spacious modern room, you can think bolder and explore brighter contrasts. 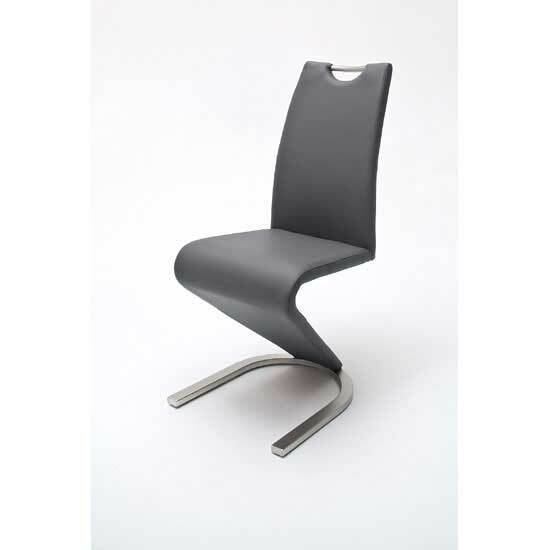 Another idea for a modern room is a narrow chair with slim high back. This gives the piece a flowing look, making your set even higher and narrower visually. While working with a modern setting, it is important to explore unusual designs. Ideally, you should forget about four chair legs and go with a chair that has a different, less usual type of base. And finally, do not compromise on upholstery quality if you have chosen to go with good quality leather dining chairs. Faux leather cushions are not as durable as genuine ones. So, if you want the set to last, stick to genuine material.